Warehouses of Russia. Market Evolution! 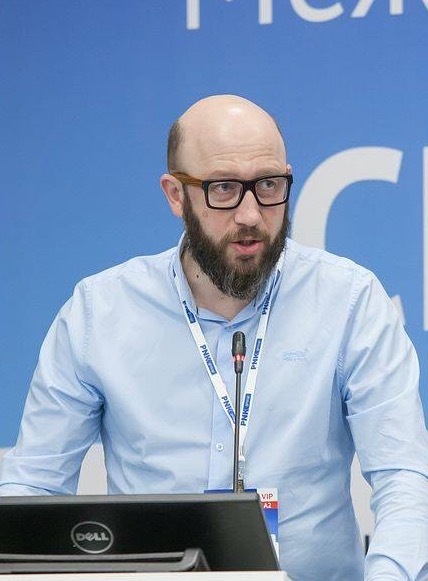 Pavel Olonov Director for Logistics and Order Picking, Ulmart «Очень рад, что в Петербурге теперь есть конференция, которая объединяет всех лидеров рынка на одной площадке. Мероприятие «СКЛАДЫ РОССИИ: ЭВОЛЮЦИЯ РЫНКА!» предоставляет возможность встретиться с коллегами из ведущих компаний отрасли, познакомиться с интересными людьми и обменяться идеями. 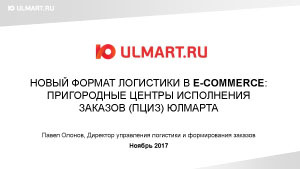 Был рад поделиться опытом запуска нового формата логистики в e-commerce, пригородных центров исполнения заказов компании «Юлмарт». Приятно, что помимо представителей петербургских и московских компаний, было очень много коллег из разных регионов. Спасибо за отличную организацию конференции». Anna Bukrinskaya «Конференция «СКЛАДЫ РОССИИ: ЭВОЛЮЦИЯ РЫНКА!»прошла на высоком уровне. Интерес проявили участники разных направлений и регионов. Среди экспертов присутствовали крупнейшие девелоперы, консультанты, строительные компании. На протяжении всего дня и до глубокого вечера шли дискуссии, выступления, обмен мнениями, многочисленные вопросы. И этот факт говорит о том, что всем присутствующим было интересно услышать других и выразить свою точку зрения. 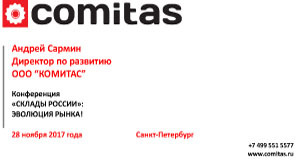 Andrey Sarmin Development Director COMITAS «Компания COMITAS – признанный эксперт отрасли, постоянный участник всех значимых конгрессно-выставочных мероприятий. Мы выступаем в роли экспертов, партнёров и спонсоров крупнейших конференций. «СКЛАДЫ РОССИИ: ЭВОЛЮЦИЯ РЫНКА!» – не стали исключением. Насыщенность деловой программы, приглашенные спикеры и масштабность мероприятия стали определяющим фактором нашего участия. 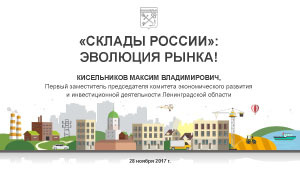 Резюмируя, отмечу, что конференция «СКЛАДЫ РОССИИ: ЭВОЛЮЦИЯ РЫНКА!» – серьёзная коммуникационная площадка, объединившая на своём поле представителей всех сегментов складского рынка: Big Box, Light Industrial, Self Storage и многих других. Актуальные темы выступлений, дискуссии по тенденциям и вызовам отрасли, а также возможность взаимодействия с широким пулом потенциальных заказчиков позволяет рекомендовать данное мероприятие как одно из ключевых для отрасли в целом». Report topic: Attractiveness of Warehousing Assets for Investors: Forced Necessity or Trend? Report topic: How Much Is to Build a Warehouse? How to Avoid Mistakes without Pushing Up the Cost of Construction? 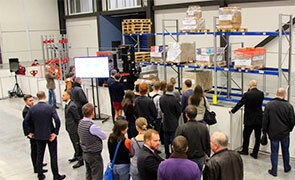 Topic for discussion: What's going on in the A-class warehouse market in Russia's regions? Rates, vacancies, outlook? The results of 2017: key transactions and projects announced for 2018. Topic for discussion: Why is there no Russian market of Class A speculative warehouses in the cross-docking format? Topic for discussion: Why is it so important t focus on detail in warehouse projects and why investing in them? Topic for discussion: What format specifics need to be taken into account at the stage of design? This is a user-friendly format at its best: which design solutions make it user-friendly? 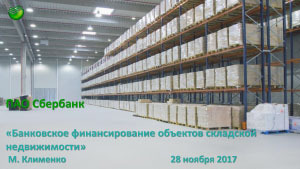 Eight months after the “Development of Small Warehouses: Divide and Rule” conference. 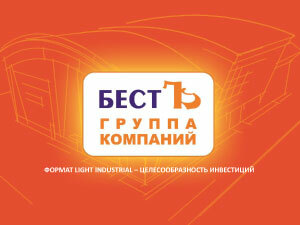 Light Industrial as a new warehouse format in Russia. Shall we discuss the term or move on? Topic for discussion: Industrial townhouses of PNK Group: lease vs sale; how the sales of units from 720 sq. m and larger progress in PNK Park Valishchevo. Are they purchased as storage or industrial space? 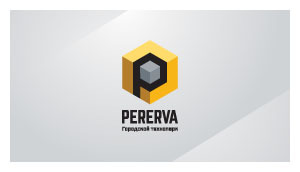 Topic for discussion: The city technopark PERERVA: industrial, storage, office and service premises for SME. First Light Industrial project in Moscow. The yield of 16%: a myth or reality? 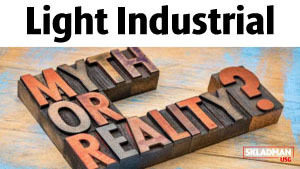 Topic for discussion: Is the Light Industrial format interesting for developers? Is economy possible only in projects developed on free land with all services in place? Topic for discussion: Money for project financing is not getting more affordable, is there any alternative? Do Light Industrial premises open access to private equity like apartment hotels? Could this be a new investment product for private investors in industrial real estate? President, Association of Self-Storage Companies. Topic for discussion: The impact of new players on the Self-Storage market upon the average cost of request in the segment. How does the positioning of the Self-Storage commercial offer service affect the ratio of business clients to individuals at self-storage facilities? Topic for discussion: Housing prices affect the consumption of the self-storage services the world over: the higher the housing prices, the more stuff is stored in boxes. Did the falling Moscow housing prices affect the demand for self-storage, the rental rate and the term of lease? Topic for discussion: How much is the outfit of 1 sq. m in self-storage units? Are short leases an upside or downside? Topic for discussion: How much does it take to recoup investments in self-storage facilities? Container yards as the fastest entry to the self-storage market: the risks and difficulties in managing this type of facilities. Topic for discussion: Mycell - as a new level of Self-Storage in Russia? How do users of this service respond to the lack of physical access to the place where their things are stored? Topic for discussion: Moving as one of the Self-Storage market players? How can a secure storage facility be transformed into a self-storage unit? Topic for discussion: What’s going on in St. Petersburg Self-Storage market? Do low operating charges in self-storage facilities increase the appeal of such projects for developers? The importance of WDC location: who is the traffic generator and what types of traffic can be monetized? Location selection bonuses. Market demand for quality services, or why is there a shortage of cross-docking facilities? The importance of cross-docking service availability at the WDC, or what the client would like to pay for. What freezer areas are of interest to residents? Is there any need for dry storage at the WDC? Arranging retail venues in the territory. The importance of proper parking arrangement and proper traffic patterns over the territory. Topic for discussion: WDC as a trade platform for simple and direct communication between manufacturers and suppliers, on the one hand, and consumers, HoReCa and non-chain retail, on the other hand. Topic for discussion: Multi-temperature warehouse construction cost. Substantial subtleties of construction. Choice of equipment. What needs to be taken care of. Main requirements for structures. 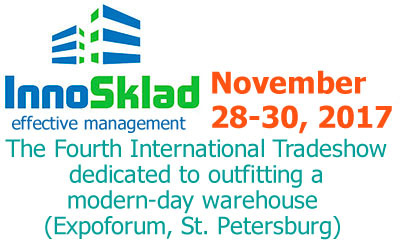 The InnoSklad tradeshow along with the WAREHOUSES OF RUSSIA conference is the main national business event in St. Petersburg logistics market. In 2016 the InnoSklad attendance reached 3,000 visitors, with 34 cities of Russia providing their exhibits. The industrial park Greenstate is included in the register of the Russian Ministry of Industry and Trade, being one of the best industrial parks in Russia and North-Western Federal District. Its territory is 114 hectares; 14 residents include Atria Pit Product, Siemens Technologies of Gas Turbines, SMS Pneumatik. The park is also home to Russian and foreign small and medium-sized businesses. In fact, we tried to assign clear criteria and categories to the product that has long been existing in the market, to assess its attractiveness for investors. We offered our classification of all small-size warehouses to the market. Providing additional services for the client is getting ever more relevant today, the optimization of expenditures at the onset of project delivery being most popular of these. The matter regards, above all, the possibility of beneficial configuration of the future property lease and repurchase transaction. The conference with this level of representation, thoroughly reviewing and highlighting all formats of industrial and warehousing real estate will for the first time be held in Russia. 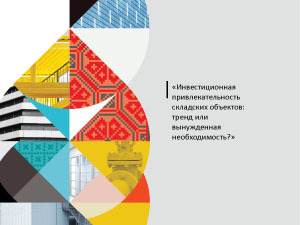 And our main goal as its organizers is shaping, together with our partners, of a contemporary business venue in St. Petersburg, as part of the InnoSklad tradeshow, which would boost the exchange of opinions between the key market players, discussion of the recent trends, putting limelight on interesting projects and solutions. Stable growth of new clients for Self-Storage companies is now coming to the fore. How to increase the site conversion? How to lower the cost of client attraction via the Internet and to boost sales? What trends in the Internet marketing affect the Self-Storage segment? Let’s talk about it. Money for project financing is not getting more affordable, is there any alternative? Is it possible to divide projects into smaller lots that opens access for private equity, as is the case with apartment hotels? This might be a new investment product for private industrial real estate investors and an alternative to bank deposits. Many companies, desperate for small storage or industrial facilities, come to us with the request to build such a facility, to suit their specific needs. Normally the cost of small project delivery is 1.5 times higher than for a Class A warehouse. I believe that the emergence of industrial-warehousing complexes in the Light Industrial format will help to address the problem of acute shortage of smaller units so that such companies could tackle their core business, rather than development. Бесплатные автобусы-шаттлы в дни проведения мероприятий. Остановка общественного транспорта у дома №197 по Московскому проспекту. 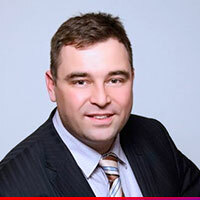 Vyacheslav is an avowed expert of the real estate market with more than 10-year experience. He joined the JLL team in October 2016. Earlier he worked for Knight Frank where he was in charge of business development, including in the industrial real estate and land segment. 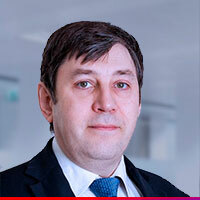 In 2007 Vyacheslav came to the industrial and warehousing department of Knight Frank and in 2008 he stood at its helm. The company honored his contribution to the companyвЂ™s business development by granting him the PartnerвЂ™s status. The team led by Vyacheslav closed a record volume of deals in the Russian industrial property market вЂ“ in excess of 3m square meters. 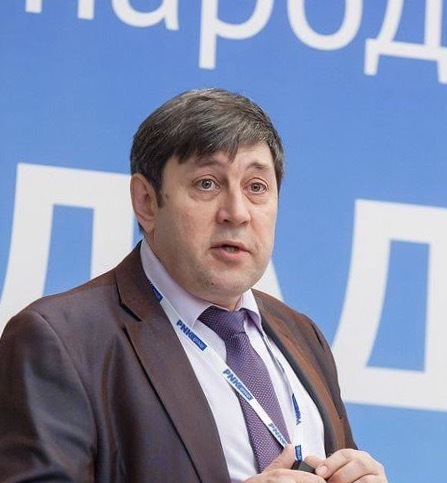 Mr. Kholopov is a board member at the Russian Industrial Parks Association (IPA) and also a member of the IPA Certification Committee. 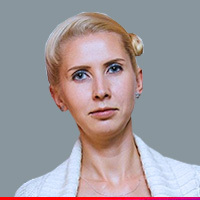 Ms. Krylova is Director of the Moscow Investors Association, a non-profit organization uniting about 100 development companies. Earlier she was in charge of the Moscow Office of the Russian Property Managers and Developers Guild. Ekaterina had worked for more than 10 years for the publishing house Impress Media (Commercial Real Estate magazine) – first in the position of Editor-in-Chief and then as Chief Executive Officer. She graduated from the journalism department of the Moscow State M.V. Lomonosov University. 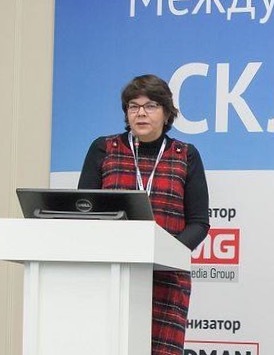 Since 2013 Anna has been Director of DEGA Development, the biggest chain of industrial parks in Russia, in charge of communications and information policy. 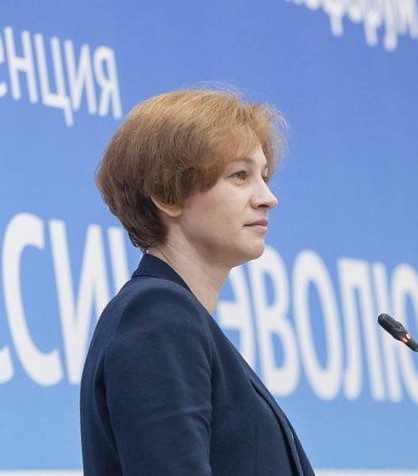 At the present time she supervises the development of DEGA-Ulyanovsk, DEGA-Tula, DEGA-Tambov, DEGA-Chelyabinsk, DEGA-Noginsk, DEGA-Irkutsk and DEGA-Krasnoyarsk parks. 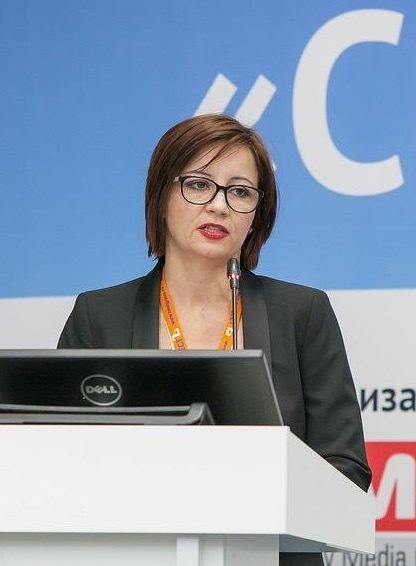 Before coming to DEGA Development, she had led, for more than five years, the PR team at Eurasia Group, an industrial investment company and supervised promotion of the industrial-logistics project Severnoye Domodedovo. 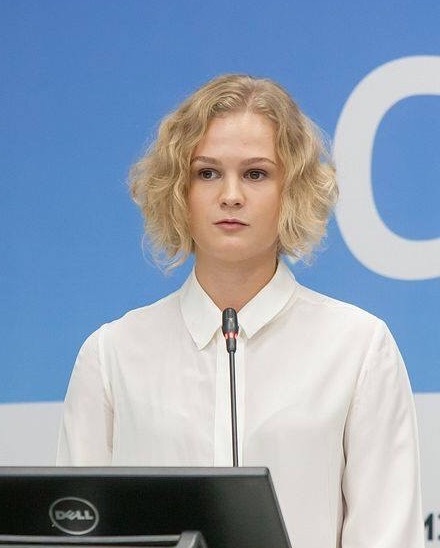 She is a constant participant of and speaker at key industrial real estate events, such as the annual forum of industrial park projects InPark, warehousing conferences of Impress Media, St. Petersburg International Forum of Innovations, and others. 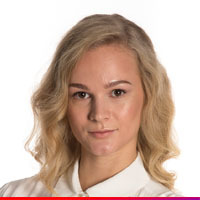 As an expert, Anna leads the Industrial Parks section at the Moscow division of OPORY ROSSII (Property Management and Energy Efficiency Committee). 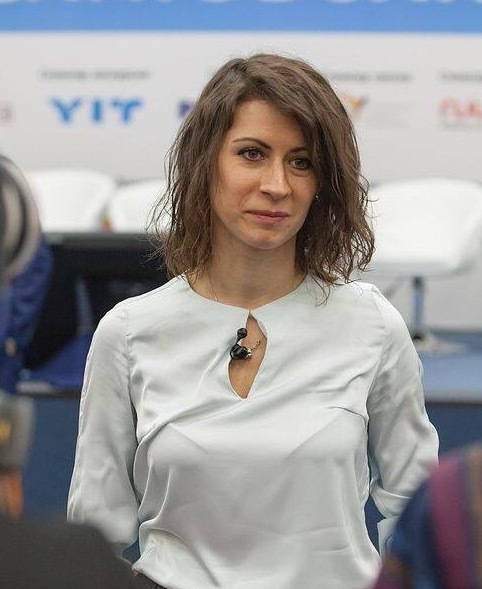 She is initiator and director of Invest Russia, a nonprofit information project for small and medium-sized business, aimed at promoting the partnership between national and foreign manufacturers and investors. Mr. Gorbatenko has been working in the industrial and commercial real estate design and construction since 2003. 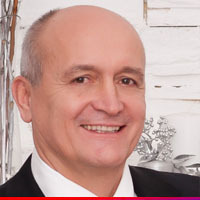 As the general designer and general contractor, he supervised the construction of the first community center of Dixy at the 89th km of Simferopol Highway, logistics park Aparinki, warehouse complex Mikhailovskaya Sloboda, Can Pack Packaging Plant in the city of Volokolamsk, MUC Premium West on Mozhaiskoe shosse and dozens of other commercial real estate objects in the territory of Russia with the aggregate space in excess of 400,000 sq. m.
Alexey developed the modern series MS-2015 of optimal design solutions for industrial buildings without sky transport. Alexey holds an MBA degree. 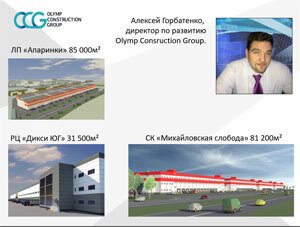 Since 2017 Mr. Gorbatenko has been Development Director of Olymp Construction Group. 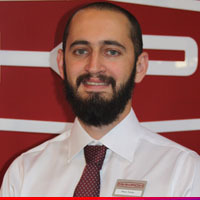 Dmitry has been with OBERMEYER since 2001. He has significant experience in the delivery of warehousing, industrial and infrastructural projects in the Russian Federation and CIS. Among the projects are industrial facilities of leading Germany companies, logistics and distribution centers of various designation. His experience in logistics ranges from speculative Class A warehouses, narrow-aisle distribution centers, vegetable storehouses, refrigerator and deep-freeze warehouses to automated storage facilities with pallets stacked to the height of up to 40 meters. The experience of Mr. Numerov in commercial real estate reaches 17 years. He was involved in commercial real estate deals worth more than 1bn USD, including the lease, sale and first in Russia sale-lease-back transaction in the hotel segment as well as major investment projects. He helped in the sale of 20 manors in Moscow, as a team member of the Moscow Office of CBRE. 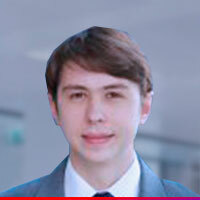 Before coming to CBRE, Evgeny worked as broker with Blackwood. 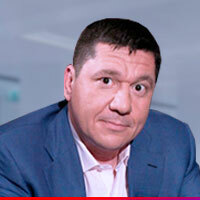 In 2010, with his business partner, Evgeny successfully launched Sklad Management Co., now known as USG Group. During 7 years at Skladman USG he mediated industrial property sales and leases, with total area in excess of 675,000 sq. m. Mr. Numerov holds the CCIM degree. 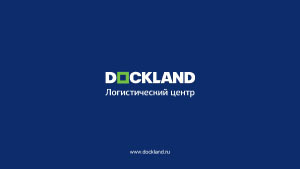 As co-founder of Skladman USG, Alexander possesses extensive expertise in the warehousing and industrial market of Russia. He was involved in transactions with industrial property, amounting to more than 700,000 sq. 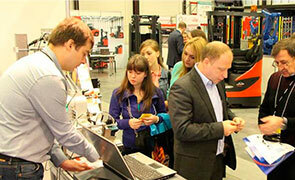 m.
At early stages of the Russian industrial market development Alexander was part of the Praedium Oncore Int. team. 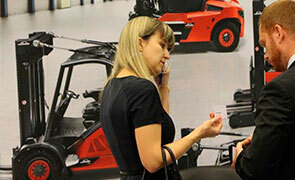 Nikolay’s experience in land legal and construction industries exceeds 13 years. For more than 6 years he led the operations of Business Realty Fair, its profile being formalization of state-owned and city-owned lands. 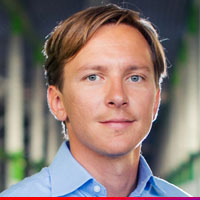 Starting in 2010, as the Founder and CEO of Up Group USG, Nikolay implemented 17 industrial and warehousing design and development projects with total area in excess of 150,000 sq. m. He is also an author of two academic works devoted to land-legal relations. Managing Partner of Internet marketing agency C500 Marketing. His cumulative experience in IT sales and marketing is 9 years, including his work in international markets. Under Konstantin’s supervision, C500 Marketing conducts marketing campaigns in the Internet, attracting new clients and tenants for key players in the industrial real estate sector as well as Self Storage operators. 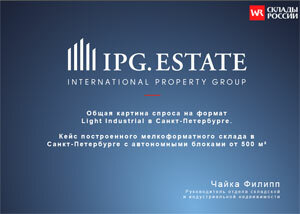 Igor is a partner of Victoria Estate Management Group, supervising investments and construction. He holds the EMBA executive degree and serves as an aide of a State Duma deputy. 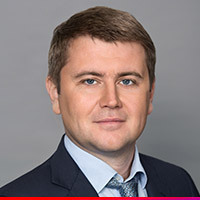 Mr. Chaika has been working in the commercial real estate market since 2007, when he joined Raven Russia as Director of St. Petersburg projects, mainly specializing in regional industrial real estate projects. One of the big deals closed with participation of this expert is construction of the warehouse complex AKM Logistic in the industrial zone of Shushary. Later Philip worked at the office department of Renaissance Development. 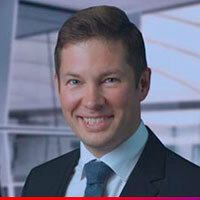 In 2012 he took the position of Business Management Director at Interterminal-Parnas. He was in charge of the client portfolio enlargement and business operations of the mixed-use logistics complex developed in the industrial zone of Parnas. Since January 2015 he has been Director of Warehousing and Industrial Real Estate at East Real. 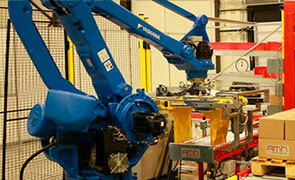 During his work at this company he completed several transactions totaling to 23,000 sq. m. He dealt with high-profile tenants, such as Gazprom, VSE Instrumenti, KDV Group, and others. Since September 2016 Mr. Chaika has been Director of Industrial and Warehousing Property at IPG.Estate. 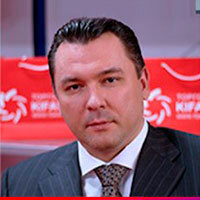 Sergey Klimin spearheads the dealer and partner relations department. He has a track record of over 15 years in commercial real estate construction. He also has rich experience as expert in active marketing and key accounts. 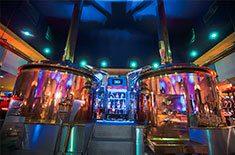 Sergey boasts dozens of successfully completed projects of logistical, sport, industrial and other designations. 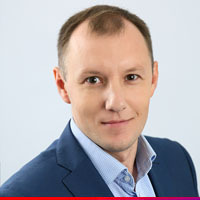 As Regional Director, Vladislav is engaged in building the sales strategy, supervision of the department, developing new services for clients in warehousing and industrial real estate. Vladislav graduated from the Moscow State Linguistics University, majoring in Economics. He speaks fluent English, German and Italian. His experience in commercial real estate exceeds 10 years. 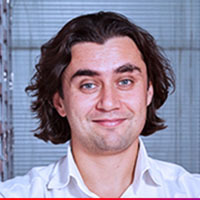 Vladislav came to Knight Frank from PSN Group where during two recent years he tackled sales, land development and site management as Vice President for Land Assets. Prior to that Vladislav had worked 9 years for Colliers International where he climbed the career ladder from consultant to partner. 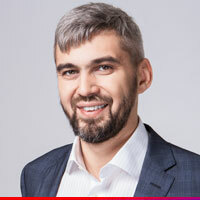 During this time, he started the industrial real estate practice at the company and made it one of the leaders in the Russian warehousing market. 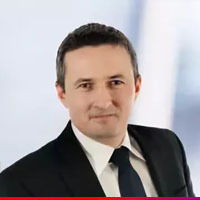 Prior to Colliers International, Vladislav worked at Cushman & Wakefield, BMW and DaimlerChrysler. He brokered more than 1 million sq. m of warehousing and industrial premises in the territory of Russia. In 2011 Yuri graduated from the Russian Academy of National Economics and Public Administration under the Russian President, Corporate management, MBA. 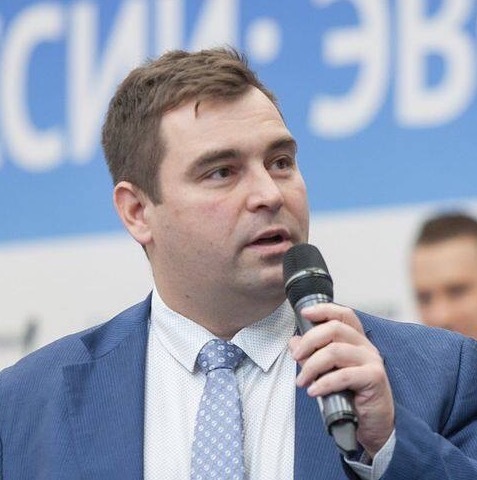 Since 2014 he has been CEO of City-Box, Moscow (a chain of self-storage terminals). 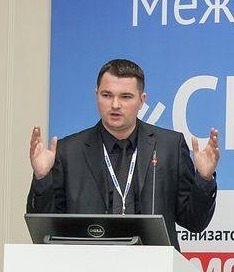 Before coming to City-Box, he worked as Development Director at Stroydepo Moscow (federal chain of DIY hypermarkets). From February 2009 to May 2011 he was CEO Shintop Ob in Novosibirsk (a chain of automotive supermarkets). 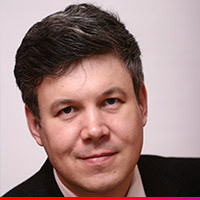 From December 2004 to February 2009 he was Development Director at Vostokshintorg in Vladivostok (a chain of automotive retail and service centers). An expert in logistics and industrial real estate, he has more than 15 years of experience in development, management, consulting and logistics companies. He has the knowledge of regional markets bolstered by a large number of completed projects. 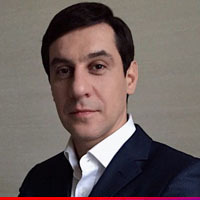 Mr. Perfilyev was instrumental in signing storage property sale and lease deals in Moscow, Ufa, Kazan, Ekaterinburg, Perm, Voronezh, Vladivostok and many other cities of Russia. The aggregate floor space he dealt with exceeds 500,000 sq. 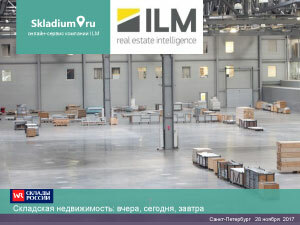 m.
In 2016, a new warehouse search service Skladium.ru was launched, as part of creating the largest storage space database in Russia. Now this is 3,000 warehouse complexes in 90 cities of Russia, with 100 new storage facilities added to Skladium every month. 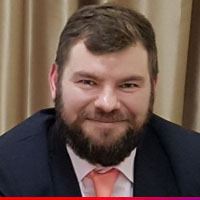 In 2002, Alexander graduated from the department of Micro Devices and Engineering Cybernetics at the National Research University of Electronic Technology (MIET) and in 2004 he was qualified as Logistics Manager at MADI-MTU. In 2013 he completed the special course “The design and calculation of metal structures”. 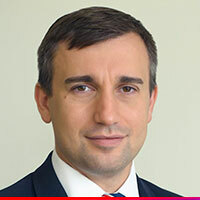 Mr. Yuryev accumulated more than 16 years of experience in commercial real estate construction. He was involved in thousands of industrial, logistics, retail-entertainment, sport, warehouse, energy and agricultural projects, as part of the Ruukki team. He went all the way up from project manager to design and pricing director (2012-2017) and Business Manager in 2017. In 1996 Mr. Kaplun graduated from the Tver State Technical University, majoring in Shipping Arrangement and Transportation Management. In 2011 he earned an MBA degree from Gubkin Russian State University of Oil and Gas, majoring in oil and gas business administration. In 2005-2007 he directed one of the biggest arms of Delovye Linii Group. From 2008 to 2013 he worked in executive positions in the oil industry and industrial construction sphere for a large state-owned holding. Since 2015 and until now he has been in charge of Commercial Real Estate Operator, LLC. Commercial Real Estate Operator specializes in the professional support of industrial and office real estate owners and lessees as well as the support of industrial land assets. The company manages more than 200 facilities of various designation, having the aggregate floor area of 900,000 sq. m, scattered across the country (from Kaliningrad to Vladivostok and from Murmansk to Sevastopol). 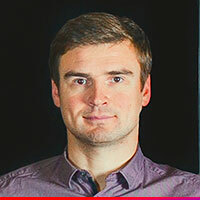 Ilya has a rich experience in the development of Russian companies in Europe and Asia. In 2010-2015 he was developing several companies and has the experience of bringing out new products to overseas markets. In 2015 he started the first in Russia box storage service MyCell. Mr. Moshensky has been professionally engaged in real estate for more than 22 years, including 18 years in commercial real estate. In 2004, he co-founded Maris Properties with his partner and already in two years signed a strategic cooperation agreement with the world’s biggest commercial real estate player CBRE which appreciated the startup’s market success. Maris manages more than 122,388 sq. m of A-class office space. In 2007, Maris associated with CBRE became the first of the big four companies to provide commercial property and facility management services in St. Petersburg. 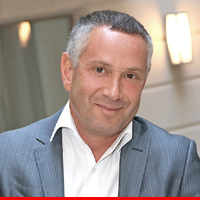 In 2009, Boris Moshensky was included in the list of best top managers (according to Business St. Petersburg newspaper, as part of TOP-100 best managers of the year project). Thanks to an efficient business strategy of Boris Moshensky, since 2011 Maris has been an absolute leader among brokerage companies by the amount of space let in St. Petersburg business centers. In 2013 Maris, in association with CBRE, reached the record level of let office space for St. Petersburg. In 2014, Maris, being a member of the CBRE affiliate network, won Commercial Real Estate Awards as Consultant of the Year in St. Petersburg’s commercial real estate. During years of his work Mr. Moshensky took an active part in the delivery of many interesting large-scale projects, striking big deals and helping companies, such as Unilever, Oracle, Bank VTB, Microsoft, Vimpelcom, SK Arkada, RosBank, BSGV, Google, O-I (Owens-Illinois), Boeing, Alfa Capital Partners, Avielen AG and others – to address real estate issues. 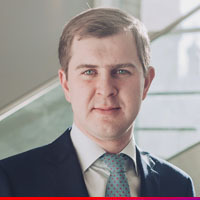 Dmitry joined Cushman & Wakefield in February 2016. 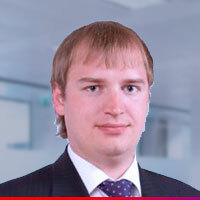 Before coming to C&W, Dmitry took the post of Deputy Director at Colliers International, Moscow. In addition, Dmitry worked in companies, such as Tablogix, ALCOA, RUSAL, UniqueBank. 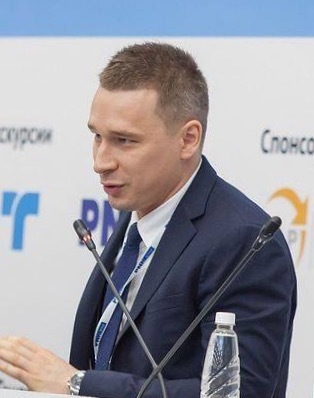 As Director of Warehousing and Industrial Real Estate at C&W, Dmitry is in charge of property lease, purchase/ sale of warehousing and industrial premises, the search of potential clients, maintaining relationships with owners, negotiation and execution of agency agreements. Key clients: Oriflame, Toyota Motor, Dong Feng, Centos, Leroy Merlin, X5 Retail Group, Wimm-Bill-Dann, Detskiy Mir, Miratorg, Real. 2002 - Applied Mechanics Engineer, Moscow Aviation Institute. The experience of Mr. Sarmin in real estate is 17 years. During this time Andrey gained experience as a broker in the secondary and elite real estate segments. As a developer, he has experience in the segment of elite residential and non-residential real estate. He worked as Business Manager for Guta-development in charge of the Group’s projects, including the Red October industrial grounds. Following the crisis in 2008-2009 he took interest in industrial redevelopment and successfully delivered an industrial redevelopment project for part of the industrial zone on Kutuzovsky Ave, having converted an industrial facility into a respectable office center. Later he took on business management of an industrial park in North Moscow and closed one of the biggest deals in the storage property market back in 2015. He has two university degrees, not to mention numerous skill-raising courses, including on the Internet marketing in B2B sales, as well as on public administration (MSU). 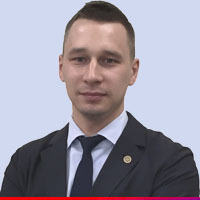 He joined COMITAS in 2017 as Development Director. In 2009 Mikhail graduated from the Russian Academy of National Economic and Public Administration under the Russian President, majoring in Entrepreneurship and Business Administration, and earned an MBA degree. 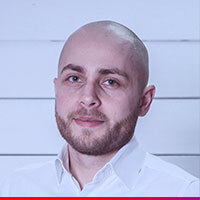 Since 2010 Mikhail has been contractor and equipment supplier for self-storage operators, his key clients being Skladovka, Samosklad, Citybox, Rentabox, Safe Space and others. From 2010 to 2017, more than 30 self-storage projects were successfully delivered. In 2016 he founded MiniSklad, a self-storage operator. 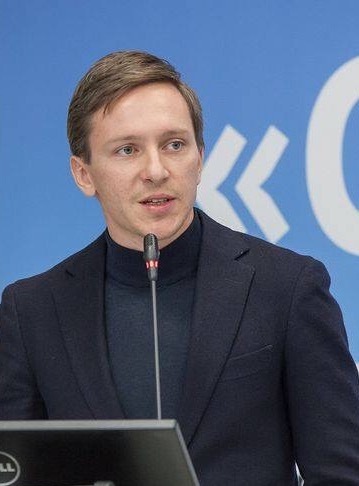 A graduate of MATI Russian Tsiolkovsky State Technological University and the Academy of Entrepreneurship under the Moscow Government (Credit and Finance). Experience: CEO in Euro-Med Clinic, Moneco LLC (MONE network of beauty salons, Moscow, 25 salons), Dessange network of beauty salons, Camille Albane, 27 salons; she has been spearheading Skladovka, LLC since 2014. Since 2017 she has been COO AKIH. In 1994 Alexander graduated from the INES Business School, majoring in marketing and management. 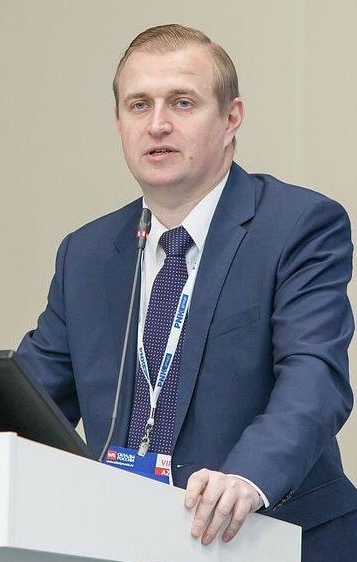 In 1999 he graduated from Moscow State University of Civil Engineering (MGSU) and in 2002 he completed the postgraduate course at the Academy of National Economy and Public Administration. Since 2002 he has been in the top 100 reserve personnel in the Moscow region and in 2014 he was included in the National management reserve personnel pool. His experience in property management and sale exceeds 19 years. Alexander supervised all iconic loft projects of Moscow: business quarter Red Rose 1875, loft quarter Danilovsky Manufactory 1867, Manhattan House residences, Nikolaevsky house, Clerkenwell house, Studio #8, Kadashevsky Chambers, and others. 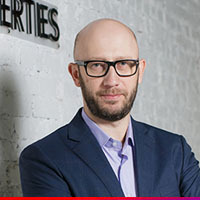 The loft clusters built under the guidance of Mr. Poduskov were repeatedly nominated for prestigious national and international awards, including International Property Awards, FIABCI Prix d’Excellence, Real Estate Market Records, Urban Awards, and others. Graduated from the Applied Mechanics department of Moscow S. Ordzhonikidze Aviation Institute (MAI) and from the postgraduate course of the acad. Blagonravov Mechanical Engineering Research Institute at the Russian Academy of Sciences (IMASH RAN). From 2010 to 2014 he was Associate Professor of MAI. 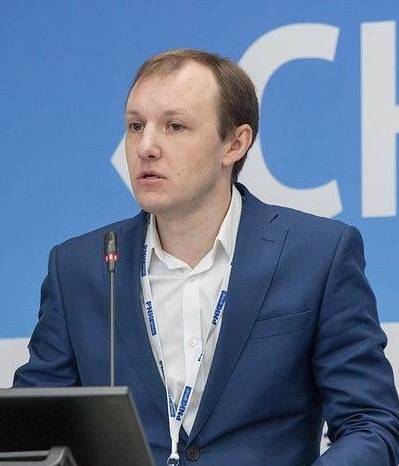 From 2012 to 2016, Mr. Tolmachev was Deputy Chairman of the Committee on Logistics at the Russian Chamber of Commerce and Industry; since 2016 he has been a member of the logistics subcommittee at the Committee on Logistics at the Russian Chamber of Commerce and Industry. His experience in logistics exceeds 20 years. He specializes in the development and delivery of logistics projects in segments, such as industrial and logistics parks, distribution centers, cargo terminals, supply chains and stock management, automated technologies in warehousing and transportation. Mr. Tolmachev is an author of the courses “Warehouse: from project to implementation”, “Effective technologies in logistics”. 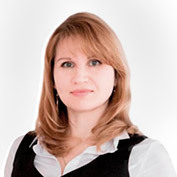 Ms. Chugaeva commenced her commercial real estate career in 2010. During 7 years she climbed the career ladder from commercial real estate specialist to deputy business manager in a development company. She worked for such companies as Maris Properties, A Plus Development and Step. 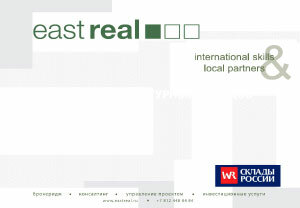 Today Margarita spearheads the warehousing and industrial real estate department at the international company East Real. Rich experience in commercial real estate and good command of foreign languages allow Margarita to carry out projects with both domestic and foreign companies. Projects, such as the warehouse lease for Kintetsu World Express and Onninen, consulting for Yit (Greenstate industrial park), Concord, Toyota Boshoku (plant construction project), Ryady construction project for A Plus Development. 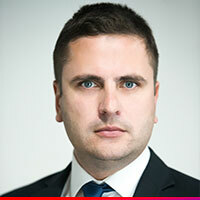 Gleb Belavin boasts more than 10 years of experience in the commercial real estate market of Russia. 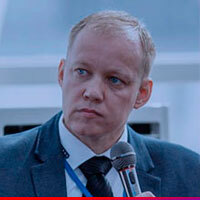 He is well familiar not only with subtleties of the Moscow market, but also knows the specifics of regional markets in Novosibirsk, Ekaterinburg, Tatarstan, St. Petersburg, Volgograd, Kaliningrad and other local markets. Since December 2010, Gleb has been spearheading the business management department of the largest industrial-logistics cluster of Russia: PLC Severnoye Domodedovo with the total area of 540,000 sq. m.
Since 2014 Mr. Belavin has been Aide of CEO for Tenants at MC MLP, the industrial real estate leader. 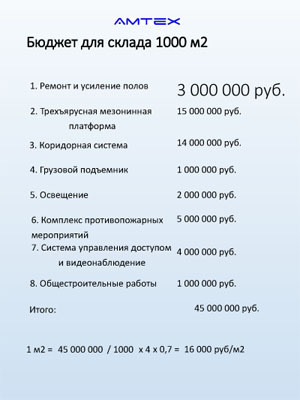 The total area of lease agreements overseen by Gleb exceeds 1.8m square meters. 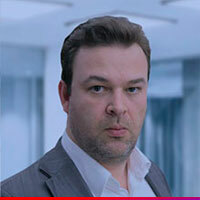 Mr. Grikhanov was born in the city of Krasnogorsk, Moscow Region, Russia, in 1976. 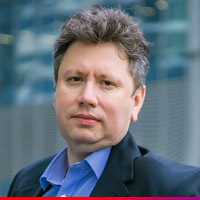 He graduated from the Moscow College of Mathematics in 1995 and later in 2000 he graduated from the Moscow State University of Instrumentation and Computer Science. In 2010 he completed the course and successfully passed exams as Certified Property Manager at the Institute of Real Estate Management (IREM). Evgeny has been in the Russian real estate market since 2006. He began his professional acquaintance with property management processes at Hines International Inc. In the position of Project Managing Director at IQ Property Management he successfully built the processes of commercial property and facility management for Urasia – Logistic. 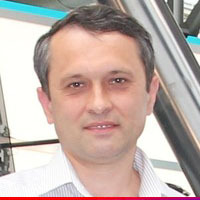 In 2010 Evgeny joined the Global Development’s team in Kazakhstan. Late in 2012 he participated in the work on the projects of Skolkovo Foundation. From 2014 to 2016 he worked on retail projects for Lenhard Development. Since 2013 he has been founder and partner of PFM Solutions that renders consulting services for property and facility management in the commercial real estate market. The total portfolio of property and facility management projects exceeds 950,000 sq. m.
In 2014, he successfully passed certification and became a member of the Royal Institute of Chartered Surveyors (RICS), specializing in Facility Management; he is also a leader of the Institute’s work group in this specialization. From 2008 to 2010, Mr. Grikhanov was a member of the board of directors at the Building Owners and Managers Association (BOMA). Since 2009 he has been a permanent participant of the International Facility Management Association (IFMA). 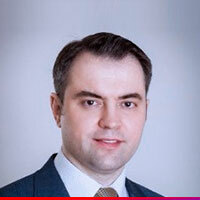 Yaroslav’s experience in real estate consulting exceeds 9 years. His main specialization is drawing a roadmap for the development of commercial real estate (industrial, office and retail) and residential real estate development. 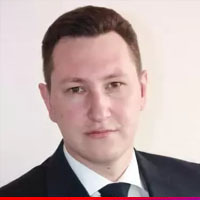 Yaroslav has huge experience of planning the strategy in various development projects for Knight Frank, Colliers International, Praedium ONCOR Int. where he was in charge of all commercial real estate development projects in all main segments, including the development of large-scale mixed-use projects and logistics complexes. Leonid S. Soloviov graduated from the Military University under the Defense Ministry of Russia and from the State Management University. He is now CEO of WEST-PEREEZD. In 2006 he tackled transportation services and queries of individuals and legal entities for the lease of small storage cells. He develops the service of sea container lease as storage space in stationary grounds and with delivery to client’s site. 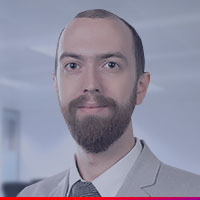 Getting his degree in Economics in Europe and having a rich experience of work in Romania, Switzerland and Germany, Mr. Anton moved to Moscow in 2008, where he spearheaded the sales team of the Russian representative office, Astron Buildings Luxembourg. 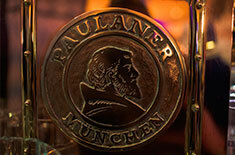 In 2013 he filled the position of Business Development Director. In Russia Mr. Anton was in charge of local manufacturing content at Komatsu, Takeda (Nycomed), Berlin Chemie, Oriflame Cosmetics, Berican et al. Since 2011 Anton has been Chairman of the Committee for Industrial construction at the Industrial Parks Association. In 2014, when many European companies began thinking of moving their manufacturing capacity to Russia, Mr. Anton was elected Chairman for local manufacturing content at the Russian-German Chamber of Foreign Trade. Starting in 2015, Mr. Anton has also been a board member of CFT. Since 2016 he has been spearheading the industrial real estate department at PNK Group, developing the company’s business. Since 2005 – has been working for CTH Petrovich where he started as Head of the Warehouse at the construction and trade base. In 2008 Maxim graduated from the State University of Land Use Planning. From 2006 to 2008 he worked for the Strateg Agency in the positions of manager and head of promising projects. From 2008 to 2009 he was in charge of government relations and public-private partnership for a group of development companies. In October 2009 he joined the Communication Group PRESS HALL where he tackled the company’s key projects in the position of Managing Partner. From 2011 to 2012 Maxim was an independent expert in the sphere of Government Relations. On February 1, 2012 Maxim joined the team of the Industrial Parks Association (IPA) and was appointed to the position of Certification Director. Along with certification, Maxim was in charge of creation and development of the Association’s analytic block, standards for industrial parks, investor relations, methodological help in creating industrial parks and most important investment events. 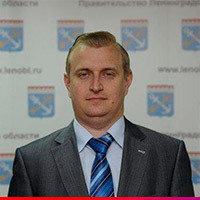 Starting in September 2015, Mr. Pazdnikov took the post of Development Director. 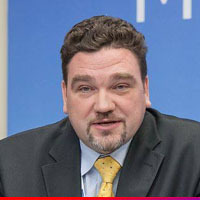 In July 2014 the General shareholders meeting of IPA elected Maxim as an IPA Board member and in January 2015 he became Co-Chairman of the IPA Board. Maxim is married and brings up a daughter. 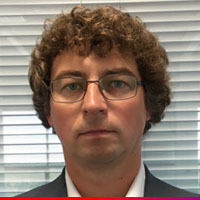 He is in charge of new areas of IPA activity, including the sector of services for support of investment projects and expansion of the Association’s methodological and advisory services. 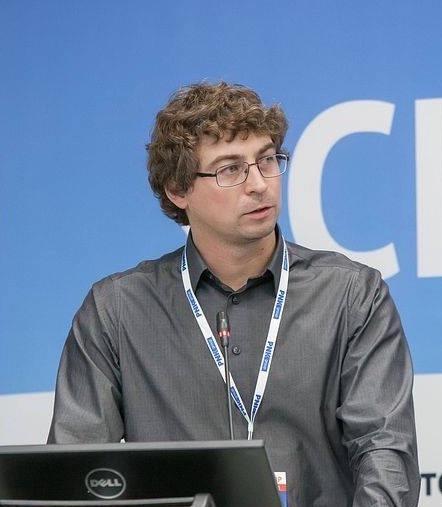 Viktor has been working at WDC Primorye since 2015 until now, participating in the design and construction of the wholesale-distribution center Primorye: calculating the layout geometry of the warehouse complex, recommending software and hardware selection, developing the WDC services for agricultural producers, food producers and distributors as well as for food retail and catering outlets. 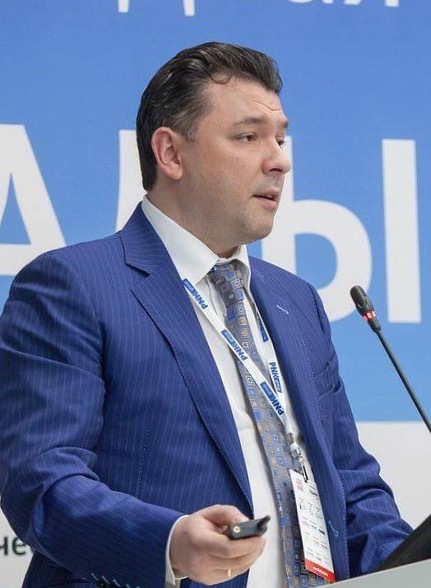 From April 2013 to May 2016 Mr. Yerukaev was CEO Relog in charge of transportation, logistics consulting, development of new logistics and transportation schemes. 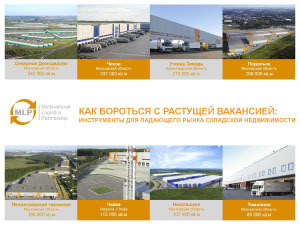 He carried out logistics consulting for Shintop Group (Vladivostok), having developed the layout of the company’s distribution center under design and detailed technical assignment for the design of a 10,000-sqm warehouse complex, a new logistics scheme for supplies of bicycle and motor vehicles from China to the company’s four DCs in West Russia. 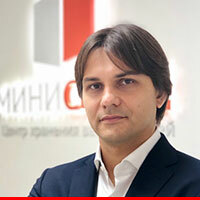 An expert in industrial and retail property, in 2004 he became an active investor in Central Russia’s street retail and in 2008 he began investing in industrial real estate. 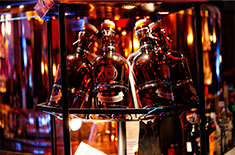 Ilya has been involved in the design and construction of A-grade storage facilities since 2009. In 2014-2017 he supervised the Logistics Centre DOCKLAND construction project. In the course of this project delivery Mr. Platonov had studied the experience of advanced distribution centers and warehouse complexes of Russia and Germany, such as BORK, Simon Hegele, Marco Tozzi, John Deere. In 2016 the Logistics Centre DOCKLAND took part in the All-Russia prestigious CRE Federal Awards 2016 where it won in the Industrial Real Estate nomination! In 2017, a project of construction on the 21,000-sqm second phase has been delivered in a joint venture with PNK Group, as part of the Logistics Center DOCKLAND. Ilya participated as an expert in the work of the CRE Federal Awards 2017 Committee.. In 2000 Maxim graduated from the Leningrad V.I. Ulyanov (Lenin) First Electrotechnical University (LETI). 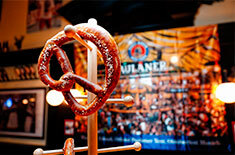 From 1999 to 2012 he took executive positions in different business corporations, including Heinz, United Auto as well as in companies of recreational profiles in the Leningrad region. 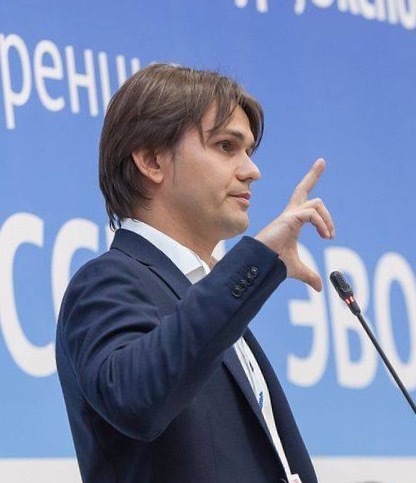 In August 2012 he was appointed to the position of First Deputy Chairman of the Committee for Economic Development and Investment Activity in the Leningrad region. 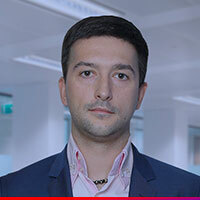 Mr. Pirogov has 7 years of experience in the investment sector, including his work as an investment banker for Sputnik Group and later as Director for Strategy and Investments for RosAgroMarket. 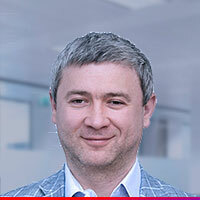 - Working for Sputnik Group, Sergey participated in closing some M&A deals in sectors, such as power engineering, oil and gas, retail and medicine, totaling to more than $4 billion. - At RosAgroMarket he in charge of the company’s strategic development, partnerships and M&A (FMLogistic, international investors), also supervising the attraction of debt financing for WDC projects to the tune of $350 million. - Starting in 2017 he also oversees the in-house start-up at RosAgroMarket – specifically the B2B Marketplace project aimed at creating the national B2B food market. In 2005 Viktor graduated from the radio-physical department of Nizhny Novgorod State University, majoring in IT Systems and Information Protection. After that he joined the postgraduate course at the Department of Economics, majoring in Public and Municipal Administration. He is Certified Property Manager (CRM), Certified Commercial Investment Manager (CCIM), currently completing the Executive MBA program at the Higher School of Management at St. Petersburg State University. 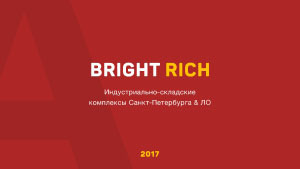 Before joining Bright Rich | CORFAC International, he took the position of Regional Director for Product Sales and Distribution at ALIDI Group where he later worked as Regional Director for Sales of Logistics Services, in charge of business development in Russia’s North-West, Vladimir region and Mordovia. He is co-founder and partner of the consulting company Bright Rich | CORFAC International, in charge of business development, including in the segment of industrial and warehousing real estate. 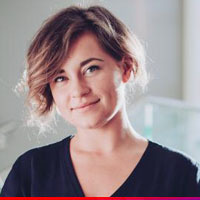 Evgeniya Enbaeva has been spearheading the marketing team of St. Petersburg-based moving company Delikatny Pereezd since 2013. The company has been providing the safe kepeing services for individuals and legal entities since 2002. Now its offices and warehouses function in 4 cities - Moscow, St. Petersburg, Rostov-on-Don and Nizhny Novgorod. Earlier Evgeniya led the marketing team in the company which is the exclusive distributor of the Italian manufacturer of kitchen extractors Elica (from 2008). The brand later used this company's office to place its official representatives in Russia (2011). In 2006 Evgeniya was awarded a diploma of the Russian-Dutch marketing programme RIMA and in 2007 - a diploma of LETI University in St. Petersburg, majoring in Public Relations. Graduate of Drake University (USA), B.A. in Management. His experience includes work for international consultancies. Managing Aide of Executive Director for the Development of Gas Business, TNK-BP. Project Manager at the investment company Interros. 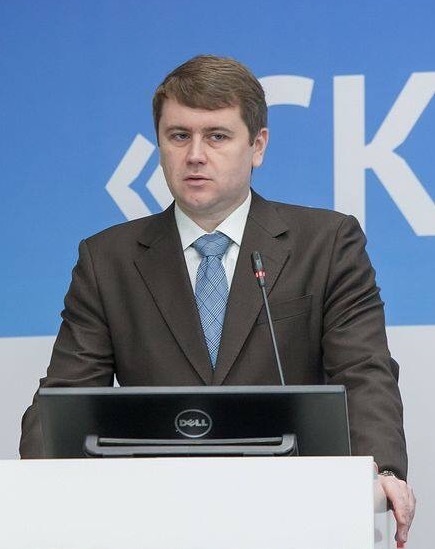 In 2009 he founded Skladovka Co. At the present time Mr. Matveyev is CEO Sklad-Aktiv, LLC engaged in the construction of self-storage warehouses. Since 2017 he has been President, Association of Self-Storage Companies. 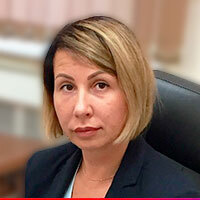 Alla Sidorenko has spearheaded the industrial real estate arm of BestЪ for more than 4 years. For more than 12 years Alla has been actively working with commercial real estate in St. Petersburg, representing the interests of industrial property tenants, buyers and owners, consulting companies in matters of property transactions. Akka's competences also include the best use of industrial territories, maximum property yield and effective rental policies. She has been actively developing the company's business in the land market. She constantly comments on professional issues in media and acts as an expert at business events. Alla boasts dozens of successfully delivered industrial and warehousing projects as well as dozens of hectares of sold industrial lands. 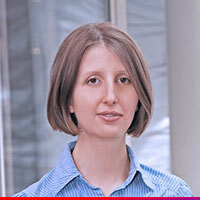 The experience of Ms. Petrova in facility & property management exceeds 15 years. 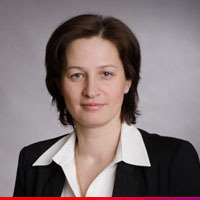 She spearheads commercial property lease and management departments at companies, such as Stroymontazh (was involved in launching the Petrovsky Fort project), LC Vozrozhdenie Sankt-Peterburga ("St. Petersburg Revival"). She also boasts the experience of managing 400 personnel. Since 2007 Lilia has been supervising the management company of NordEst Group, which currently oversees more than 140,000 sq. m of office, storage and industrial space in St. Petersburg. 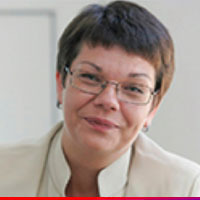 She possesses a unique experience of maximizing the profit of former industrial facilities under minimum investment. The management company also keeps an eye over one of the startups - the self-storage project NordBOX. 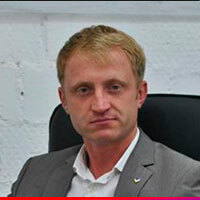 Alexey has more than 15 years of experience in logistics. 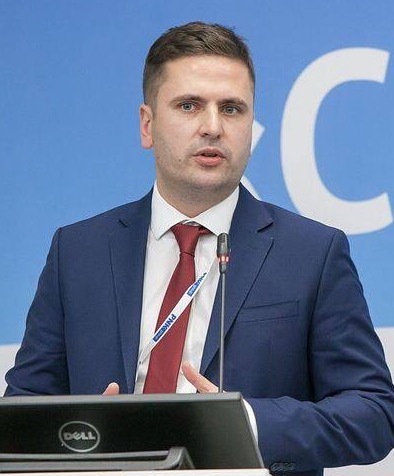 He graduated from Krasnoyarsk State University of Non-Ferrous Metals and Gold in 2004, worked for Coca Cola HBC Eurasia in Krasnoyarsk, Ekaterinburg and Nizhny Novgorod. From 2011 he joined the logistics team of Eldorado where at present he spearheads the logistics arm and is also in charge of operational supervision of warehousing logistics. Under Alexey’s control at present are more than 170,000 sq. m of storage space in different regions of the Russian Federation. 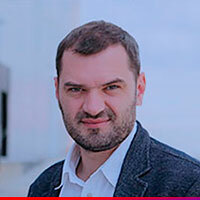 Education: Pavel graduated from the State University of Aerospace Instrumentation with honors, majoring in Production and Financial Management. Professional experience: He has been working in logistics for more than 14 years. 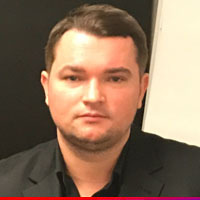 Pavel began his professional career with starting a delivery service for the Internet shop Ozon and was engaged in organizing delivery services for leading retailers. He has experience in building logistics systems for distributors, including for those providing 3PL services. Since February 2010 he has been working for Ulmart and since 2014 – in the position of Director for Logistics and Order Picking. Ivan boasts a respectable number of completed projects for clients, such as X5, Magnit, Utkonos, Abrau Durso, Dixym and many others. 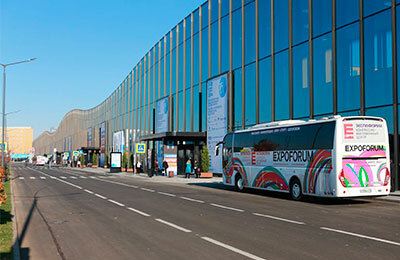 Ivan is a permanent participant of key sectoral events in warehousing logistics, such as the Moscow International Logistics Forum and Logistics of the Future: Effective Solutions for Warehouse and Transport.